Grace Ormonde Wedding style published a five-page feature on this wedding, which took place at Pelican Hill at the Ritz Carlton Laguna. 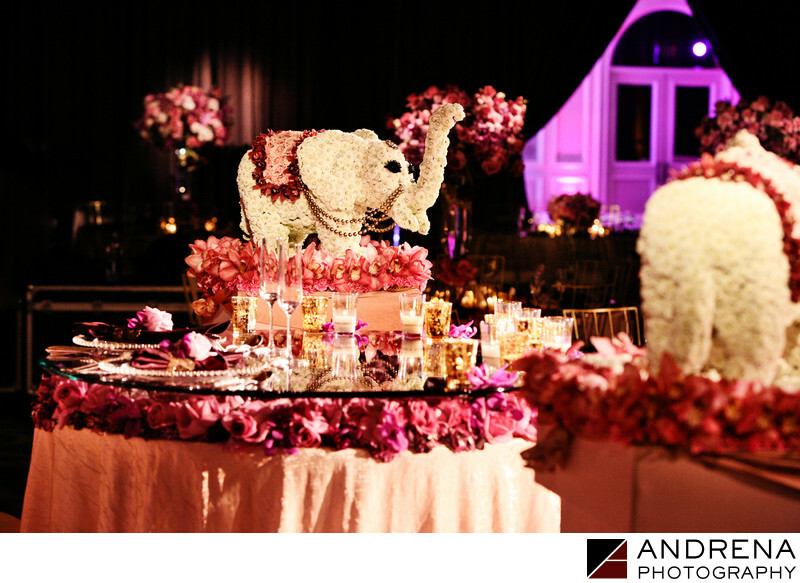 Nisie's Enchanted Florist used flowers to create elephants and a double-decker sweetheart table for this Indian bride and groom. Coordinated by Pink Rock Events.